Just because you’re on a restricted budget doesn’t mean that you’ll be unable to stick to your Bombshell plan. You sit back and look at the foods listed for each meal and wonder just how you’re going to be able to afford it all. The fact is that eating healthy isn’t anymore expensive than eating like you did prior to joining Bombshell Fitness. The key is to create a plan and stick to it. When you choose the unhealthy foods because they are cheaper and fall off track with your nutrition plan you sacrifice more than you think. Purchasing cheaper processed food is low in vitamins and essential nutrients. This less expensive food can also contain man made chemicals that could be harmful to your health as well. Here are a few tips to help you get all of the foods on your Bombshell plan and have a few dollars left over to set that cheat meal dinner date you’ve been looking forward to all week. Buy in Bulk: The biggest benefit of following a Bombshell nutrition plan is the predictability of the plan. When you receive the plan you are certain of the foods you will need for the following 4 weeks. Even in the months to follow the current plan you are on you always know there are specific foods that seem to be ever present on the plans. By purchasing many foods in bulk you will save money in the end. Yes, at first it may seem you are spending much more than you normally would, but when calculated out over the weeks you will be able to see the savings. Foods that are recommended to purchase in larger quantities are as follows: oats, olive oil, brown rice, nuts, egg whites, protein powder and meat. Price Match at the Grocery Store: Many of your markets will offer “price match” they just want you to do the legwork for them. Search the internet and coupons in the paper that each store is offering. All you need to do is take the papers with you or take screenshots of the sale prices on your cellphone. To expedite check out, I always circle in bright red each item that is on my list and I will be purchasing that day. This is an easy way to get the sales price at many different stores all in one place. Saves you money at the checkout and in the end on your gas bill since you aren’t driving from store to store. Visit the Farmer’s Market: If you prefer fresh produce it’s great that most cities and towns have weekly Farmers’ Markets or open air street markets to allow local food growers to sell their The bonus is they will usually sell them cheaper than the grocery store. If you go towards the end of the market, some venders may sell their remaining items at an even bigger discount. This is one time that being late to the party pays off. LOL. Save some money and support your local community all at the same time. Don’t throw it away: Spinach is on your plan and by Day 4 it’s not looking so perky. Try preparing it differently. No one says it HAS to be a salad for that meal. Sautee or microwave it down then add in your oils, if listed and you’ve got a brand new tasty side dish. Buy Frozen: Frozen vegetables have come a long way over the past decade. 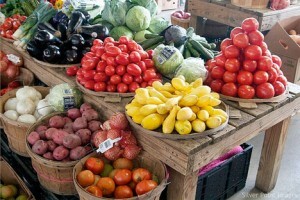 With all of the technology available and new flash freezing techniques used, the frozen vegetables and fruits are able to retain their nutritional value. Since vegetables are a huge part of your food plan there is really no reason why you cant take advantage of some of the cheaper costs in the freezer case. And frozen veggies bought in bulk is a really smart way to go! Change up the Proteins: Many times on your plan you will see options for the meat to use in a meal. This is where planning ahead comes into play. Check the grocery store to see which is the most cost effective that week or month. Also many weeks a store will have a special on one type of meat. That grocery store may have an abundance of chicken that has been delivered and you will benefit from that weekly special. When you are able to get this deal, use that when it’s the option instead of the other meat suggested. Remember-meats freeze very well uncooked or cooked! Utilize the Internet Couponing sites: Many internet coupon sites are available to help keep costs down as well. If you take the time to search these sites ahead of time you will find more health conscious foods available on them than you do at the mainstream grocery sites. A few that I have found are: Betterforyou.com , Coupons.com and SmartSource.com. There are also a few apps available to download on your phone. I’ve found one, checkout51.com that gives cash back when you purchase items on special that week and upload a picture of your receipt. When you reach a total of $20, they send you a check in the mail. What a nice bonus for items that you are buying anyhow. If you use these tips you’ll find that you will be able to purchase all of the food on your Bombshell plan. Not only will you be successful in reaching your goals as a member but you’ll have a little spare change to buy that new Bombshell gear you’ve been wanting!